Well as we start a new year and once again the great British weather opens up on us, I though that I would take a look back at 2010 and see what we have accomplished in one of the trickiest trading periods in recent history. With the recession hitting hard this year and extreme weather at the start and end of 2010 all out to push us to our limits, it hasnot been easy for any company, let alone a outdoor based one such as ourselves. Given all the doom and gloom I decided to take stock of all the achievements that we have made this year and actually felt much better about things. Arbworx has seen growth in the past year where we have taken on four new full time staff, purchased more vehicles and constantly pushed to give our clients the best value for money that can be offered. I have always believed that you give people what they want, not what you feel they should have. If our clients want something done a certain way we tell them the pros and cons and then it is the client that gets to make the decision on how their garden is transformed. By sticking to this principle and staying on top of our supply costs we are able to offer a service that cannot be beaten by our competitors. That’s why we are expanding in a recession and will truly lead the competition in the coming years. This was one of our favourite jobs of the summer. We spent weeks transforming an old, virtually derelict garden into a new vibrant space that really demonstrated some of our best skills and craftsmanship. It was a pleasure to finally hand it over to the client who was very happy with the results. This garden wins the Arbworx ‘favourites’ category for 2010. 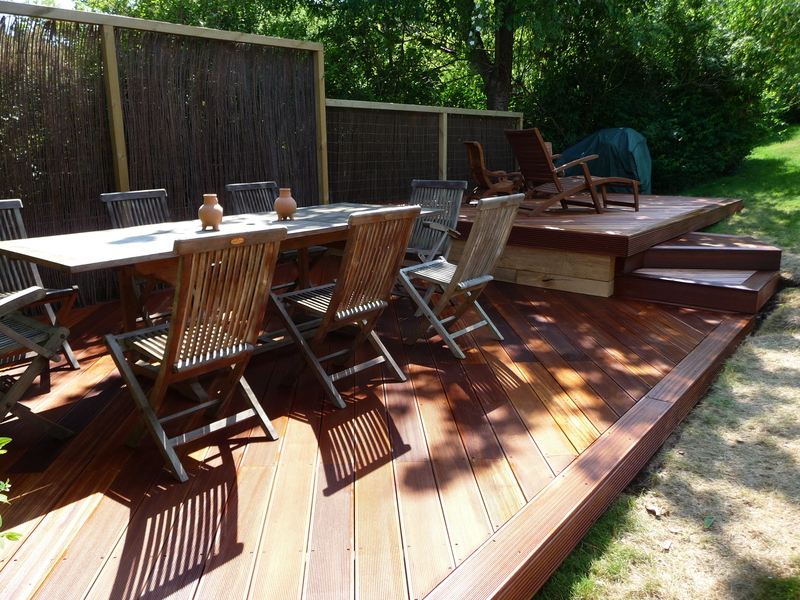 This project wins our best hardwood deck of last summer. 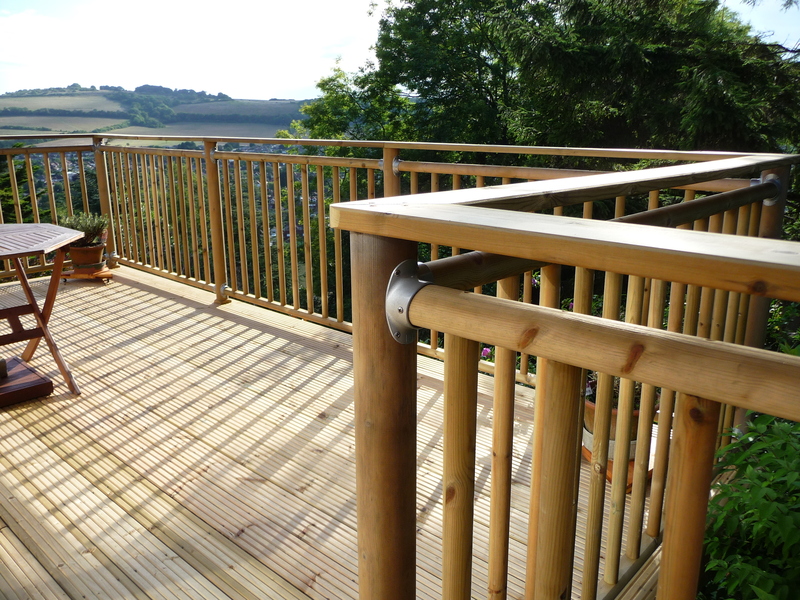 It was a simple construction that fitted in with the clients’ brief of having an area of their garden that wasn’t on a very annoying slope that made bbq’s a little tricky. This deck build should be rated as the best high level deck that we built in 2010. 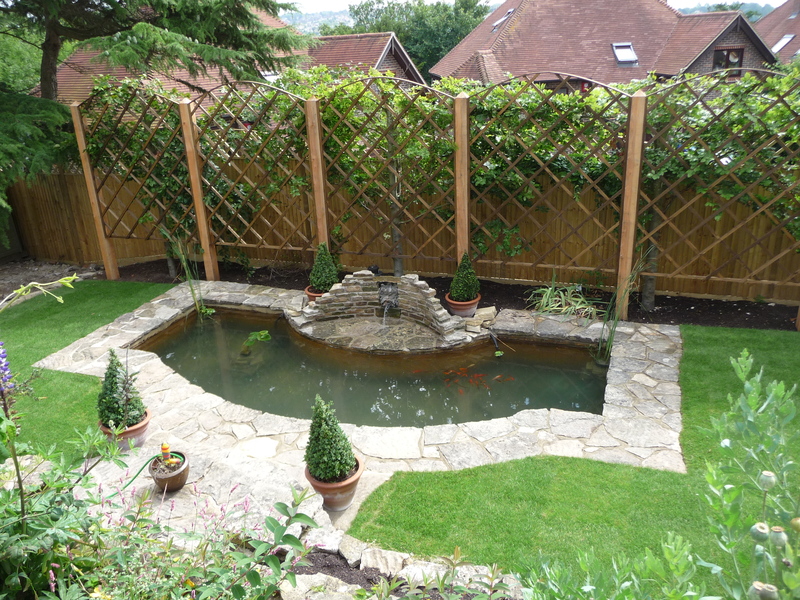 The platform was only 3M over the garden but the garden was on top of the South Downs which are considerably higher! Here is the winner of the most unusual project that we had in 2010. This huge Sea Serpent was built entirely from recycled materials and was constructed in a local primary school for the children to plant out vegetables and flowers. These pictures win the ‘closest to the design’ award for 2010. 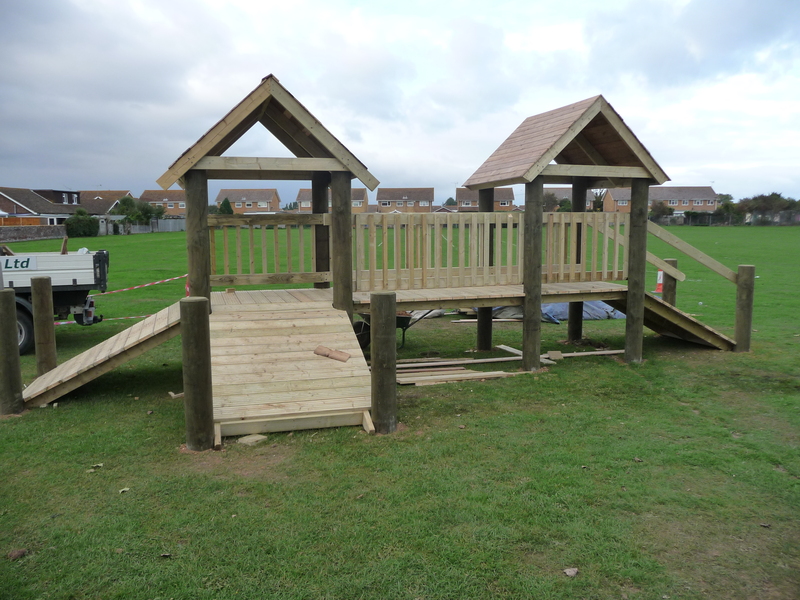 We built this play tower as part of a complete adventure play area in a school in Selsey. Check out the picture below to see how close we got to the design! This was the actual tower installed in the playing field. After all the projects, problems, trials and tribulations of 2010 we are now capable of overcoming pretty much any task that is presented to us. All we have to do is get the weather to play ball and then we’ll be unstoppable in 2011. Happy new year to all our clients and roll on 2011!